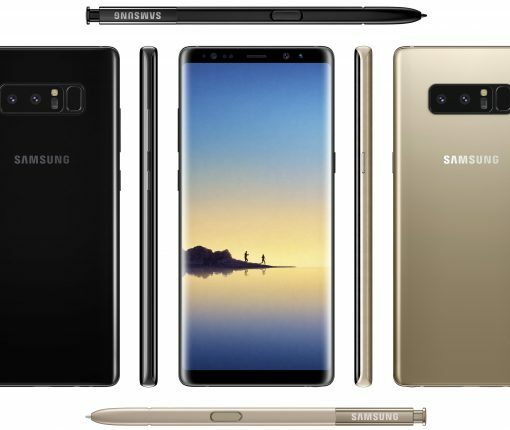 Noted leaker Evan Blass is back at it with a high-resolution press rendering showing off the design of Samsung’s yet announced Galaxy Note 8 in Black and Gold. 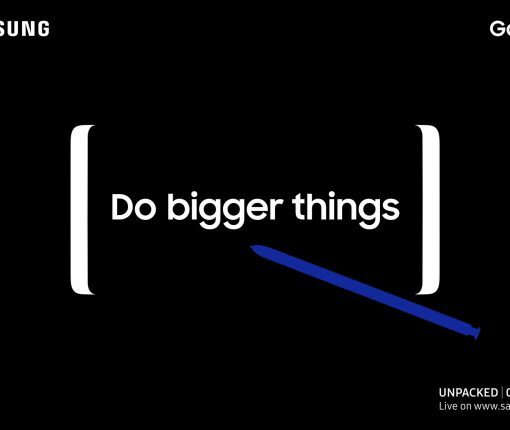 Following the exploding Note 7 fiasco, Samsung has been focused on regaining user trust and today the company told Reuters that the Note brand will continue with an eighth-generation device due for an announcement in August. 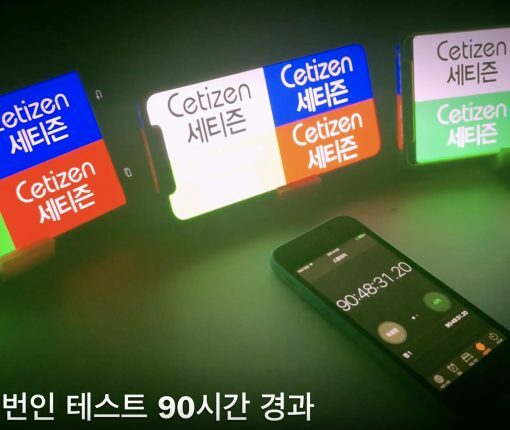 Talk of an Apple phablet dates back to March 2012 when a pretty credible Japanese blog mentioned an unreleased iOS device with a five-inch 1,600-by-960 Retina screen which may or may not be the 4.8-inch iPhone 6 some analysts see coming in 2014. 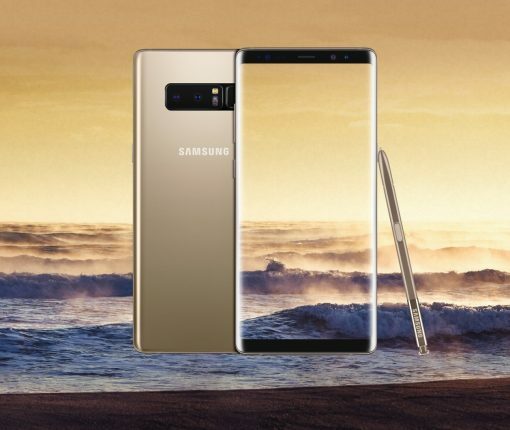 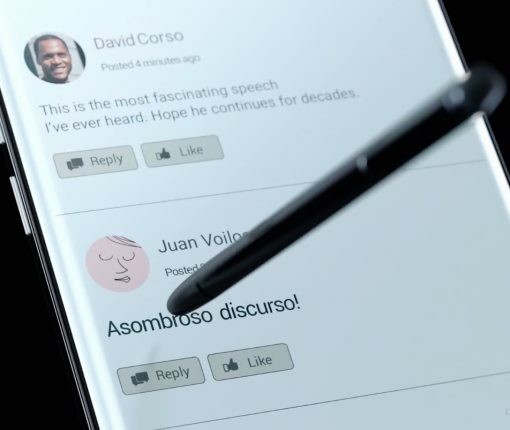 The phablet, I’m sure you know, was popularized against all odds by Samsung of South Korea, its jumbo-sized Galaxy Note devices selling millions of units (ten million as of August 2012). 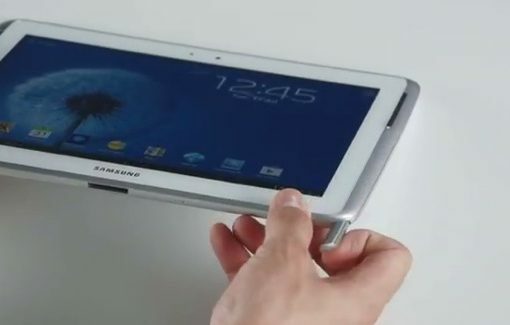 Just yesterday, the company released its latest iPad mini contender, the eight-inch Galaxy Note. 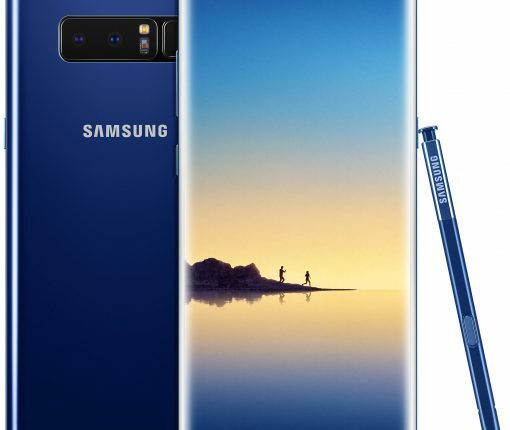 In addition to the S-Pen, an IR blaster and a quad core processor, Samsung’s baby outsmarts the iPad mini with its ability to make phone calls over cellular networks. 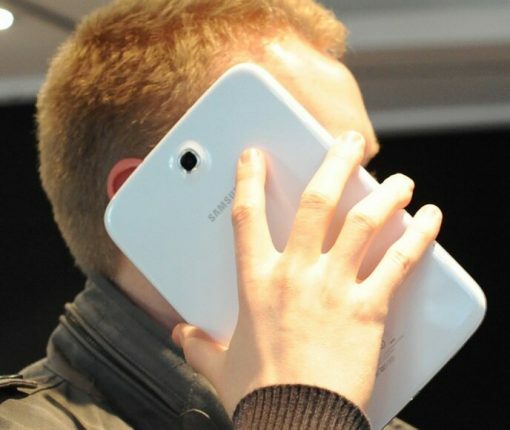 The question is, would you dare use such a giant ‘cell phone’ – and I’m using the term loosely – in public? 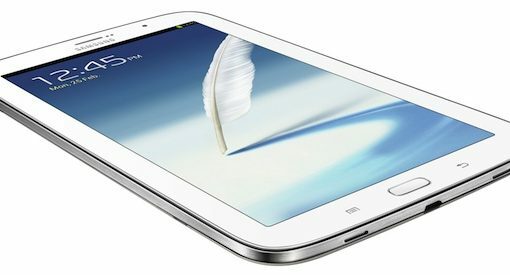 Samsung of South Korea will later this month take another crack at dethroning the tablet leader Apple by going after the Cupertino firm’s iPad mini, a 7.9-inch mini tablet computer released on November 2, 2012 and starting at $320 for the Wi-Fi only version with sixteen gigabytes of storage.